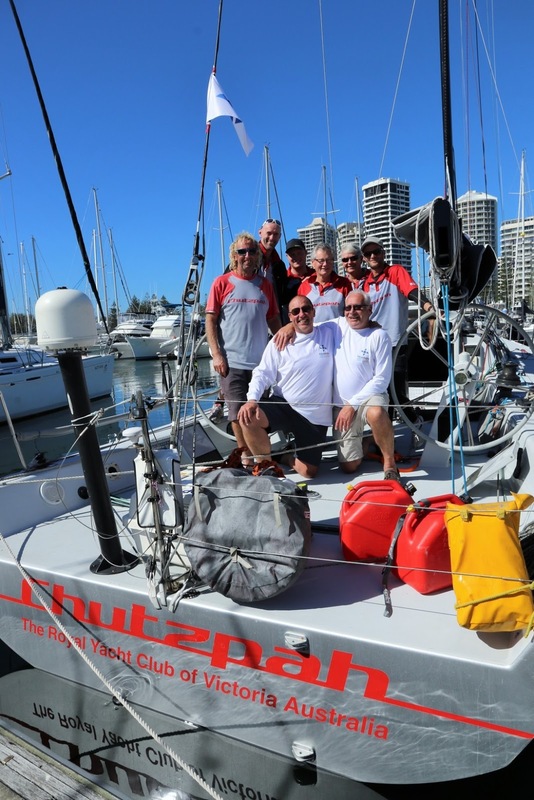 Bruce Taylor’s Victorian 40-footer called Chutzpah has been officially declared the IRC overall winner of the Noakes Sydney Gold Coast Yacht Race after a 15-hour wait for the only challenger still on the course to drop out of contention. “They say I look very fetching in Bridesmaid gear; we’ve looked to be in the money so many times, but being the bride is far better, far more satisfactory,” said Taylor in reference to the numerous times he has finished runner-up in a major offshore event over the near four decades he’s been ocean racing. Taylor’s doggedness is well-known in sailing circles. 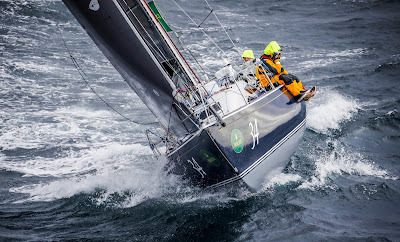 He’s had seven attempts at the Gold Coast Race and 38 attempts at the pinnacle Rolex Sydney Hobart with various Chutzpahs and a core team, including Perth-based navigator and longtime mate Kingsley Piesse. 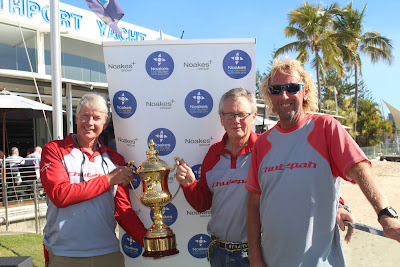 The Chutzpah crew recorded their best result of second in the 2014 Rolex Sydney Hobart and they’ve collected multiple other top five placings and divisional victories between 1986 and this year, but never the prize every sailor wants – the Tattersall Cup for the corrected time winner. 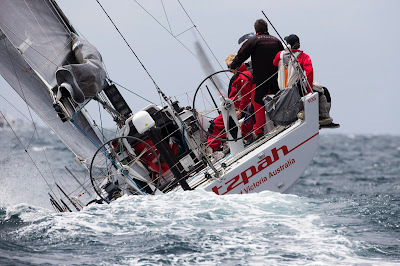 The Noakes Sydney Gold Coast Race is Chutzpah’s Rolex Sydney Hobart race warm-up. “We thought this Gold Coast Race was a great opportunity to try out a couple of new crewmen and a couple of new configurations. What is pleasing outside the result is you have small boats owned and sailed by Corinthians, and it’s possible to jag a result like this,” Taylor said. 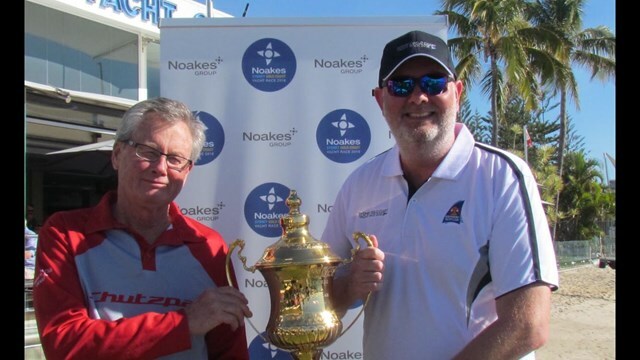 It was a nail-biting wait to see if Shane Kearns’ Komatsu Azzurro would result in a third Noakes Sydney Gold Coast Yacht Race overall win from four attempts. This time the weather Gods were on Taylor’s side. “Despite the original forecast, conditions were better than we hoped and we managed to hold onto boats our size and bigger and make the gains when it was our turn. Foolishly the boys told me what time we had to finish by to beat the boats already in and that wasn’t good for my blood pressure. Then, sitting at Southport from 1.30am this morning to late afternoon watching the tracker and the S&S 34 coming up the coast wasn’t good for my health either,” Taylor added. At 1830hrs Komatsu Azzurro were sailing in nor’easterlies 13 nautical miles from the finish line off Main Beach, with an ETA of 2130hrs. Second overall on the IRC scoresheet is Matt Allen’s TP52 Ichi Ban and third is another TP52, Ian Short’s Highfield Caringbah. 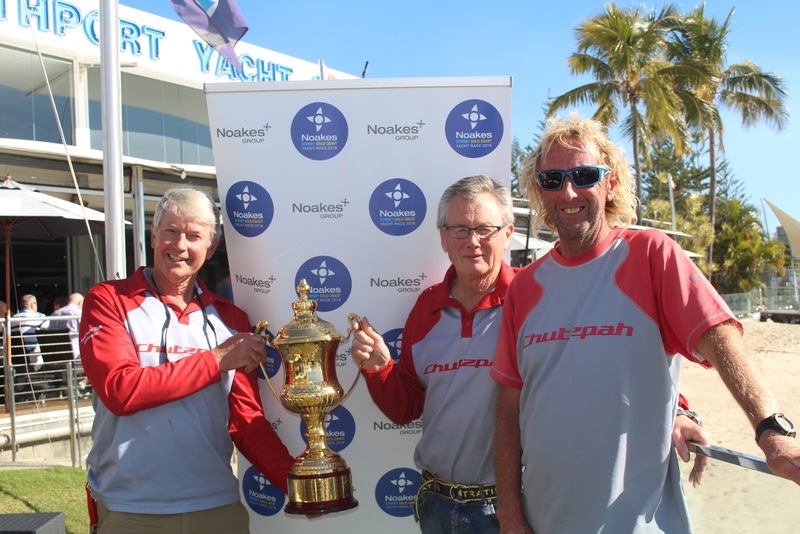 All but three yachts have finished the opening race of the Cruising Yacht Club of Australia’s 2018-19 offshore calendar and results in most divisions are confirmed.